We encourage you to contact us about any concern regarding your dental health. Let Lanz Associates in Dentistry answer your questions about the myriad of advanced dental procedures available or how we can help you achieve the confident smile you've always wanted. Our office is conveniently located in downtown Mt. Lebanon next to Citizens Bank. There is an adjacent public parking garage and metered street parking available. Please use the form below for general inquiries. Your web form submission will received our immediate attention. PLEASE DO NOT INCLUDE PERSONAL HEALTH INFORMATION! Prefer to schedule online? No problem! 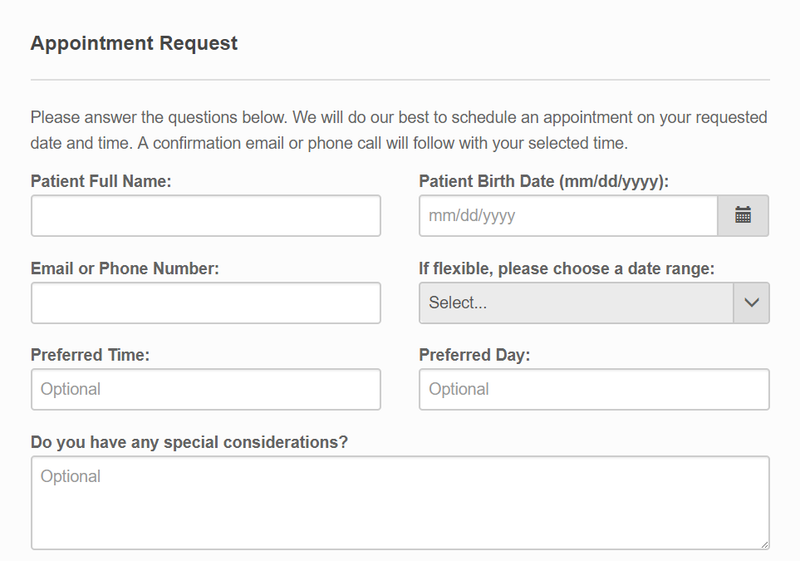 Just press the Request Appointment button below and complete the short, online form. PLEASE NOTE - We will do our best to schedule the appointment on your requested date and time. A confirmation email or phone call will follow with the exact details. Thanks!